What's the Most Popular Dog Breed in Your Neighborhood? Labrador retrievers are the most popular dog in Chicago, based on city dog licenses. Two-year-old Java, who is owned by Beth Urech of the South Loop, is among those registered Labrador retrievers. CHICAGO — North Siders like to own Labrador retrievers while West and South Siders love their pit bulls. That's based on data culled from 38,525 dog licenses active with the City Clerk's Office as of August. The licenses represent a small fraction of the dogs living in the city of Chicago, but offer a glimpse of what types of dogs live in the city and how that differs across neighborhoods. "It's interesting to see what breeds people report having, but really what they are reporting is what type of dog they think they have. Most don't know," said Robyn Barbiers, the president of the Anti-Cruelty Society. "Most dogs should be categorized as 'mixed' because that's what they are." 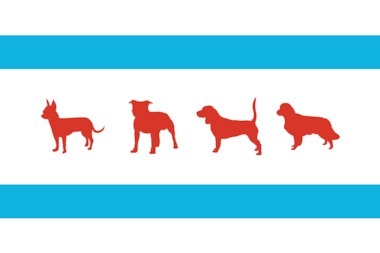 Use the graphic above to explore Chicago's dog license data. Check out the interactive graphic of the city's dog licenses that breaks down the most popular breeds both citywide and by ZIP code. • In all, city residents reported 872 different types of single- or mixed-breed dogs. • The city's most popular dog breed is the Labrador retriever. Labs also are the most popular dog on nearly all of the city's North Side ZIP codes as well as ZIP codes in areas like Clearing, Beverly and Hyde Park. Single-breed labs represent about 9 percent of the city's total registered dog population. 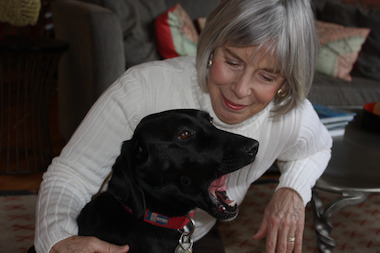 "It's a big city dog," said Beth Urech, who has a 2-year-old registered "black Lab mix" named Java in the South Loop. "Labs are good for this city, because they are smart, they are obedient and they are friendly." By comparison, a similar analysis by WNYC found New York City's most popular breed was the Yorkshire Terrier, a dog much smaller than the Labrador retriever. "I think that's interesting," Urech said. "We are the City of Big Shoulders." • The second most popular dogs were "pit bull types," which isn't considered an official breed, but were cited numerous times by owners as their dog's breed. Such dogs represent about 5.5 percent of the city's registered dog population, beating out the third-place German shepherd. Pit bull types were the most popular dog type in several ZIP codes on the South and West Sides, though these are also neighborhoods that tended to have a lower number of dog registrations than North Side neighborhoods. Barbiers said pit bull types have risen in popularity at the Anti-Cruelty Society's River North facility. In the 1980s, German shepherds and Doberman pinschers were the most prevalent "guard" or "bully" breed living at the animal shelter. In the 1990s, Rottweilers were the most prevalent. Today, it's the pit bull. The most popular mix that didn't involve poodles is the puggle, a pug and beagle mix. To dig more into the data, use the interactive graphic above. For more stories on this data, read DNAinfo Chicago throughout the week. • Data from 38,525 active dog licenses in Chicago, requested by DNAinfo Chicago. The data has been cleaned of misspellings and other ambiguities.